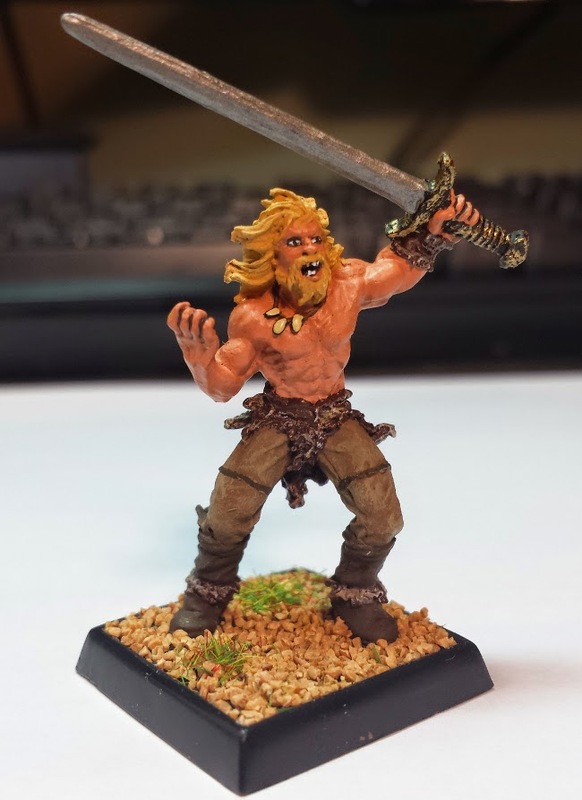 I have had this barbarian mini kicking around for some time now, but he never had a place to fit in. Originally I created him as a 2nd ed AD&D character called Wulfmaer, but he never had a campaign to belong to. So there he sat, waiting on my shelf in miniature player character limbo. When Elijah created his Maze of the Minotaur "Filler" Campaign, I finally had the perfect place to take him out, although this time as a D&D 3.5 character. I named him after the creator of our favourite barbarian (Conan), Robert E. Howard. He has an older Brother name Raymond E. Howard, and the two make quite the fighting pair.